tkl88 All the Asian bourses spike up !!! tkl88 Tommorrow onwards heading to the new high of 0.28 ! tkl88 All the Asian bourses was spike up today!!! Don't missed this golden opportunity to become a wealthy people! Any price below RM0.80 is a good buy! tkl88 What happend, why today Tanco damn strong the buying interest? tkl88 Wow, if really got good news incoming! Like that Tanco will break above 0.30,0.40,0.50,0.70,0.90,RM1.00,RM2.00 liao lah! tkl88 birkincollector, really last time wanted to take over at 0.08 ? Now 0.06 what the reason of not buying? Like that i will sailang at current price of 0.06 already! Karlos Controlling shareholders actively buying! Will he announce to privatise it? If yes, privatise price will be at least 0.30 ! tkl88 Now bull markets, how to get 0.05 ? Later 0.30 , 0.50 also u can't able to get also ! Really Amazing isn't it ? if hitting 100%, just need to hit 0.11 only ! Any new for tanco ? tkl88 Oh My goodness, Sapnrg was trading now at 0.37 (+0.02) (+5.7%) now! Market was very super bullish today onwards ! Tanco soon definitely will follow one ! Huat ah ! Heng ah ! Ong ah! 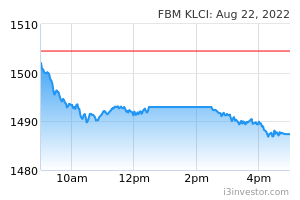 tkl88 Wa lao eh, KNM closed at 0.125 (+0.01) (+8.7%) ! Superb ! Beside KNM, my komark also flying, closed at 0.225 (+0.015) (+7.1%) ! Brilliant ! Tanco will be the next superstar to shine off ! Now Bpuri at => 0.22 +0.035 (+18.92%) ! This morning it was hitting 0.235 +0.05 (+27.02%) ! spike up & closed at=> 0.08 (+0.03)(+60%) !